Qualis Health, one of the nation’s leading population health management organizations, has recognized five healthcare organizations from across the state of Idaho for their achievements in improving healthcare quality and outcomes. 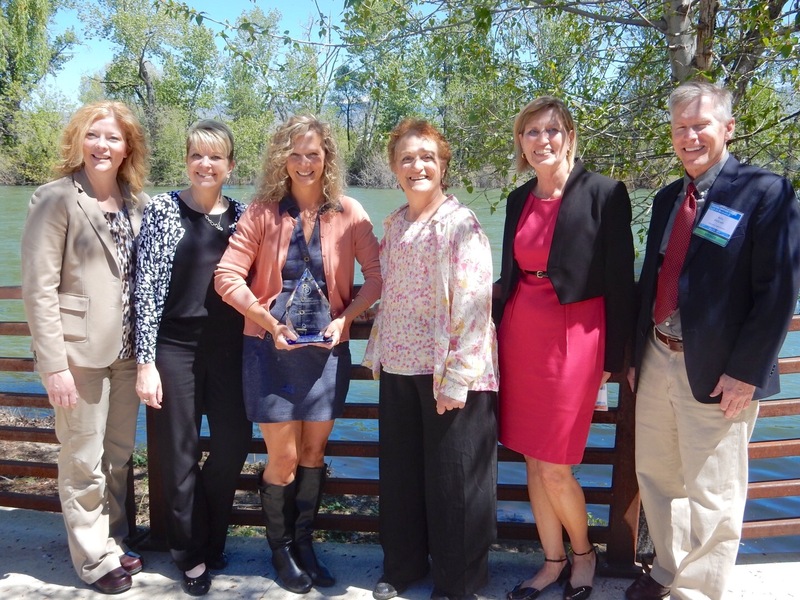 The award recipients were recognized during a ceremony at the Idaho Patient Safety and Quality Improvement Conference on May 4 in Boise, Idaho. Kelly McGrath, MD, MS, Qualis Health Idaho Medical Director, presented the awards. A special award for exemplary contribution to healthcare quality in Idaho was also presented to Richard Armstrong, director of the Idaho Department of Health and Welfare since 2006. Compliance Officer; April Bennett, RN, OR and Unit Nurse Manager; and Joann Filce, RN, BGH Maternity Unit Nurse Manager; with Linda Rowe, MS, Qualis Health Idaho State Director and Kelly McGrath, MD, MS, Qualis Health Medical Director. Qualis Health awarded BGH the Excellence in Healthcare Quality Award for the “Code Stork” process that decreased the time for emergency cesarean sections. Located in a region in which access to healthcare can be very limited, Bonner General Health is one of two facilities in the Northern Idaho region that provides obstetrical and delivery services. Many pregnant women in the area either receive no prenatal care, choose to deliver at home, or receive care from a lay midwife. When emergencies occur, the outcome can be devastating. Recognizing the critical value of time in these situations, BGH identified a need to decrease the response time during an obstetrical emergency to achieve the best outcome for mother and baby. They developed a “Code Stork” process that allows for a fast response time for an urgent cesarean section in an emergency. Development of the “Code Stork” allowed BGH staff to standardize their process to ensure fast response time after a decision to operate was made to the initial incision and start of the surgery. The national recommended time for decision to incision for caesarean sections is 30 minutes. After implementation of the “Code Stork” process, BHG dropped their time from 31 minutes to 7. Winners of the 2017 Idaho Awards of Excellence in Healthcare Quality in Idaho are selected by a panel of Idaho expert stakeholders. Awards are presented at the Idaho Patient Safety and Quality Improvement Conference on May 4, 2017. Qualis Health is one of the nation’s leading population health management organizations, and a leader in improving care delivery and patient outcomes, working with clients throughout the public and private sector to advance the quality, efficiency and value of healthcare for millions of Americans every day. In Idaho, Qualis Health serves as the Quality Innovation Network – Quality Improvement Organization (QIO) and the Quality Payment Program – Small and Underserved/Rural Support (QPP-SURS) contractor for the Centers for Medicare & Medicaid Services (CMS). For more information, visit QualisHealth.org. Bonner General Health 2018 Qualis Award of Excellence in Healthcare Quality – Antibiotic Stewardship – Creating a Program in a Critical Access Facility. Bonner General Health 2016 Qualis Award of Excellence in Healthcare Quality – Critical Access Hospital – Telestroke Program.